Dr. Lee was born in Indonesia and raised in Hawaii. She has a B.S. and M.D. from the University of California Los Angeles. She did her pediatric residency at Mount Sinai Medical Center in New York and earned an M.S.Ed from the University of Southern California. 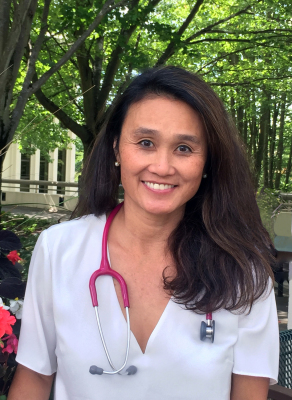 She has been practicing pediatrics since 1997 and is a Clinical Associate Professor of Pediatrics at the University of Washington. She is a Trustee for the Washington Chapter of the American Academy of Pediatrics and current Chief of Pediatrics at Valley Medical Center. She is recognized as one of America’s Top Pediatricians and has numerous awards for providing excellent pediatric care. She enjoys spending time with her husband and two daughters. She also enjoys exercising and dancing ballet, jazz, swing, and salsa.